Read the latest edition of the Windsor Campus newsletter. 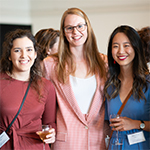 View photos from the Awards of Excellence Gala, and the 2019 Interprofessional Education Day. Meet Dr. Matthew Pfaff and Linda Yihe Zeng, Medicine Class of 2020. And learn more about the MD Curriculum Renewal.